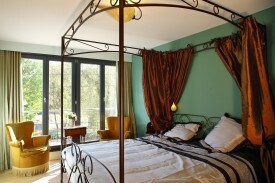 Our 4 rooms have been decorated fairy-like in accordance with the 4 nature elements. Have sweet dreams in our lush rooms earth, water, air and fire. The fresh made breakfast will be waiting for you in the morning in our cosy veranda where we also serve evening meals at our guest table. You will be able to relax completely in our private sauna with hottub in the private garden. Sauna, hamam and massage machines will help you to let go of all tension. Relax even more with one of the delicious massages. Did you stay in De Boerderie? Let us know what you thought about it and help others to make the right choice! * I confirm having stayed in De Boerderie. 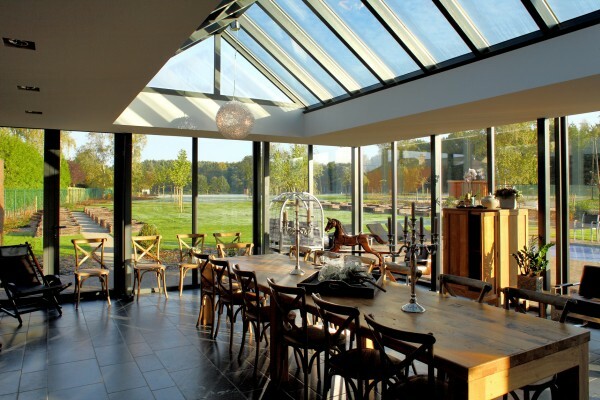 Find other bed & breakfasts in Beverlo, all bed & breakfasts in Limburgse Kempen or all bed & breakfasts in Limburg (Belgium).